Estella's Revenge: It's Monday and 2016 Reading is Off to a Good Start! It's Monday and 2016 Reading is Off to a Good Start! 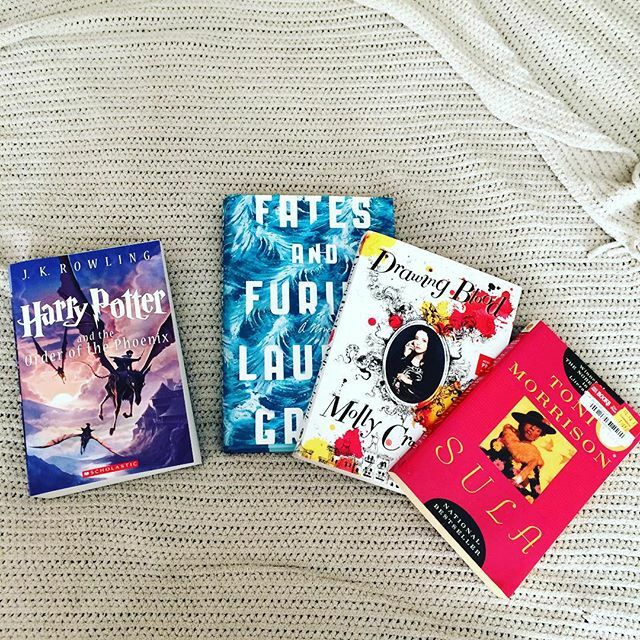 It's 2016, and while we're only four days in, I'm feeling optimistic about reading! 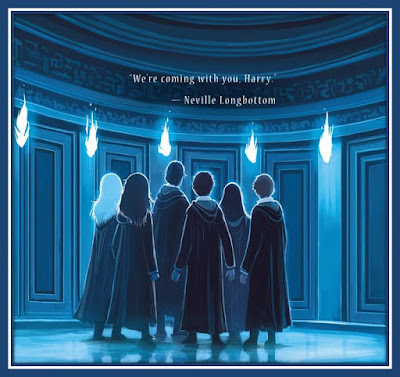 I finished my first book of the year, my re-read of Harry Potter and the Goblet of Fire for #Potterbinge! This has been my favorite of the series in the past, and while it's still UP THERE, I got fairly bogged down. I was itching to read something different, so I took a little break and did just that. 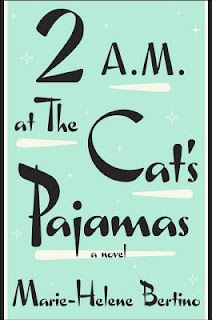 2 A.M. at the Cat's Pajamas by Marie-Helene Bertino was cute, and by cute, I mean charming but just sort of "meh." I probably won't do a full review, so consider this my mini. This follows three protagonists: a plucky, foul-mouthed, nine-year-old jazz singer named Madeleine Altimari; Jack Lorca, owner of a well-established Jazz club whose business is banging on the rocks; and Sarina Greene, Madeleine's teacher who's returned to Philly after her divorce. The story plays out on Christmas Eve Eve (the reason I decided to pick it up now), and hijinks ensue, multiple storylines cross in fortuitous ways. Trust me, there's nothing really bad about this one, but it didn't hit quite the right...note...for me right now. 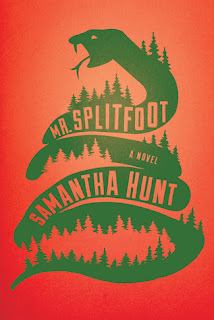 Mr. Splitfoot by Samantha Hunt was everything I needed and more. I'll post a full review tomorrow, but this is THE BOOK I WILL CRAM DOWN YOUR THROAT FOR A WHILE. You're warned. I posted this really pretty picture of books on Instagram, and then I didn't pick up any of these books like I said I was planning to...because fickle. I'm sure this is no big surprise given yesterday's post about books I'm jonesing to read. 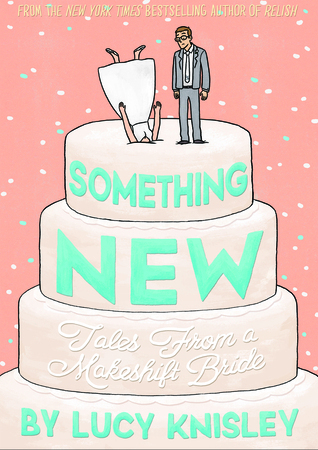 I jumped right into Lucy Knisley's new graphic memoir, Something New: Tales From a Makeshift Bride. I'm only about a third of the way in, but this is a good one, y'all. 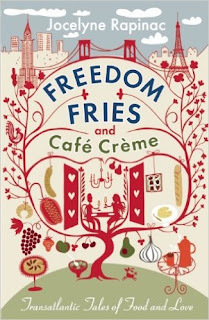 When I woke up an hour before my alarm this morning, I picked up Freedom Fries and Cafe Creme by Jocelyn Rapinac. I've had this one on my reader for ages, so what better time than the present? 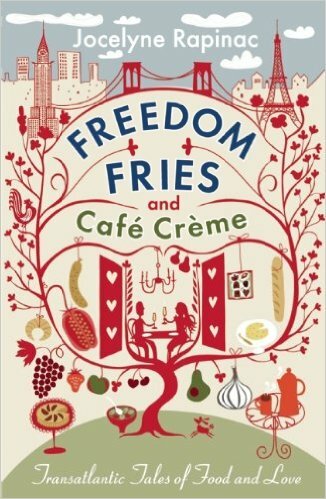 I actually didn't realize until I started poking around on Goodreads that this is a short story collection with food at it's core with stories set in each month of the year. I'm pretty stoked about that because I wasn't sure if I was feeling the first chapter. I'll be glad to meet a variety of characters. I'm also slightly concerned because the writing feels stilted. Based on my experience with Gallic books (love them and the quality of their books!) in the past, I suspect this might be a specific translator/translation issue. We'll see how it shakes out. Finally, I'm on to Order of the Phoenix for #Potterbinge. When I first read this volume years ago it was a bit slow going for me, but I have re-read it one other time, and I liked it much better. We'll see how this third reading goes. I had a hell of a time getting Google to cough up the special edition cover image, so you get the special edition BACK cover image. Just as pretty. And I love Neville...especially in this book. And in case you're into challenges, all of these qualify for #ReadMyOwnDamnBooks, and Cat's Pajamas, Mr. Splitfoot, Something New, and Freedom Fries are ALL on my e-reader for the Clean Your Reader challenge. GO ME! 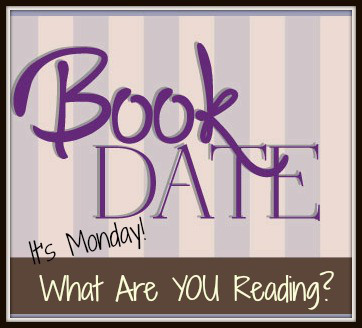 I'm pretty sure this is the first time I'm participating in this meme since Kathryn from The Book Date started hosting It's Monday! What Are You Reading? A big thank you to her for carrying on what Sheila from BookJourney most generously started. I love the cover of Mr. Splitfoot. I'm looking forward to your review! This was JUST the sort of post I needed to read, because I'm all WOOHOO! READING! right now. (LOL - different from when, exactly?) I need some more particulars on MR. SPLITFOOT, please! I meant to read just a few pages of Jandy Nelson's THE SKY IS EVERYTHING last night because I was exhausted, but I went and read the whole damn book. And I finished Nicola Yoon's EVERYTHING, EVERYTHING on New Year's. So! Two books in! I start LUMBERJANES at lunch. So excited! Okay, so, Mr. Splitfoot is the one, huh? I'm looking forward to reading your review!! Selfishly, I do really want you to read Fates and Furies so that I can hear what you think; since it's one of your own damn books, I'm sure you'll get around to it! Hope your week is off to a good start! Sorry to hear "2am at the Cat's Pajamas" was "cute" (i.e. "meh"). I've been looking at that one, but now I'm not sure if I should invest my time in a "meh" book. 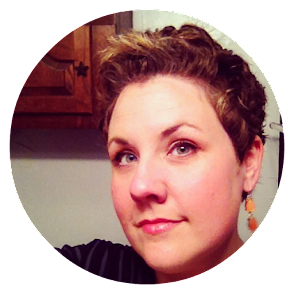 Lucy Knisley has a new book? How did I miss that?? Can't wait to hear more about Mr. Splitfoot. You are definitely having an excellent bookish start for the year! I'm still working on finding a wow book for this month. Maybe because I finished December off with Our Souls at Night and A Little Life which were amazing. And I feel a little... well, a little lost now. I think it's time to throw myself into some comics. That is some great reading! Enjoy Harry! Giirl, we are twins on Harry Potter book favorites. I LOVED Goblet of Fire so much growing up that I completely destroyed my copy. We're talking totally waterlogged and crumpled pages, both the front and back covers missing, etc. It was just so full of detail, and FEASTS. I always loved reading about feasts. Also, I already told you this, but when I read the blurb for Mr. Splitfoot on NetGalley last year, I was immediately sucked in, but I never went back to see if they'd put it up for request! I'll just have to wait until I feel like cheating on #ReadMyOwnDamnBooks for something from the library to get to it. I've never even heard of Mr. Splitfoot but the cover is creepy. I'm jealous that you're already approved for Something New. I guess I need to say I'm jealous that you're approved for Something New since I just got an email denying me access to it. Oh well. Oh no! I will never know how the heck they decide who to say yes to and who to say no to. So arbitrary. Thanks! And yes, skip it. There are better, more affecting books. If you ever get around to it, I hope it works better for you! Way to get the year started right! You're a reading machine and I'm now giving my books the evil eye wondering why I haven't finished 1 in the new year yet, hmphhh! That's usually me. I swear, it always seems like I never finish a book until at least a week into the year. I was fairly far through Goblet, so that helped give me a boost! LOL, I hope you got to check out the Mr. Splitfoot review! I loved that book SOOOO MUCH. Alright Andi, I did it. I was mildly interested in Mr. Splitfoot, but I officially put it on my list because you and some other people are loving it so much! 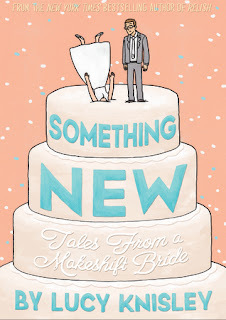 Something New looks fun, but I feel like I should finish the Knisley backlist first! YAY! I hope you enjoy it as much as I did! You can't go wrong with Knisley, but Something New is in my top two for her. I loved the way the author played with language in The Cat's Pajamas but I can understand the meh feeling. I remember the ending was a total let-down. I need to add Mr. Splitfoot to the never-ending wish list. I did like that, too. I thought the writing was good, but I think I actually wanted more from this one. Or maybe just more Madeleine. She was so much fun. I found 2 A.M. at the Cat's Pajamas a bit meh too. I loved the idea, but I found the ending disappointing.